This is the web site of the non-physical personality, Ecton, as channeled by Richard Lavin from Huay Yai, Thailand. Thanks to Anemone Magazine for setting up Ecton Skype channeling sessions in 2018 with Champak as interpreter. From Champak FB page, April 2019 Ecton Skype Session (ESS) schedule with Champak's interpretation. Since 1981 I’ve been channeling the “non- physical personality” that calls itself Ecton. I’ve worked with thousands of people in private channeling sessions, workshops and seminars. 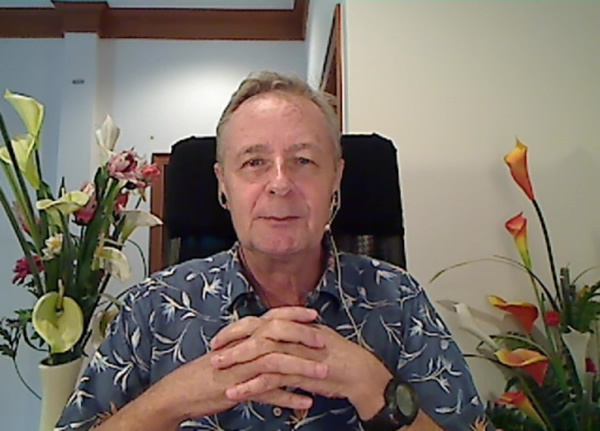 Now that I live in Thailand I continue to provide high-quality channeled counseling by way of technology, using Skype or telephone. Please click the button below for more information. 成功です！東京で2回目のエクトン・スカイプワークショップはとても上手くいきました！参加してくださった皆さん、本当にありがとう！特に、協力してくださったチャンパックさん、タツノリさん、ユキコさん、アネモネの皆さんのおかげです。大変感謝しています。またやりましょう！Success! Our second Ecton Skype Workshop in Tokyo was awesome! Thanks to everyone who participated. Special thanks to Champak-san, Tatsunori-san, Yukiko-san and Anemone-san for your help. Let's do it again. One of my clients, Mr. Takefumi Yamamoto created a Twitter site he calls EctonBot. It contains several hundred Ecton quotes from all of his books. (in Japanese, but a reasonable translation is available though Google Translate) The quotes change several times a day. Mr. Yamamoto spent several months transcribing quotes from Ecton books. I think you will find it enjoyable and inspiring. Please have a look would you? And thank you Yamamoto-san for your hard work! I am very grateful! Calls received at my current location. Please leave voice mail.